A former top political aide apologized Tuesday for the fallout of his plot to destroy embarrassing computer records related to the Ontario government's decision to cancel two gas plants before the 2011 election, but stopped short of apologizing for his actual crime. In a barely audible pre-sentencing statement to the court, David Livingston said he regretted his family, friends and colleagues had been put through the wringer. "Knowing what I know today, I would have acted differently as chief of staff," Livingston told Ontario court Judge Timothy Lipson. "I apologize to my friends and family for the anguish I have put them through. I regret the time and money that has been required to investigate and prosecute this case, and I apologize to all my colleagues for the strain of direct or indirect involvement in this trial." 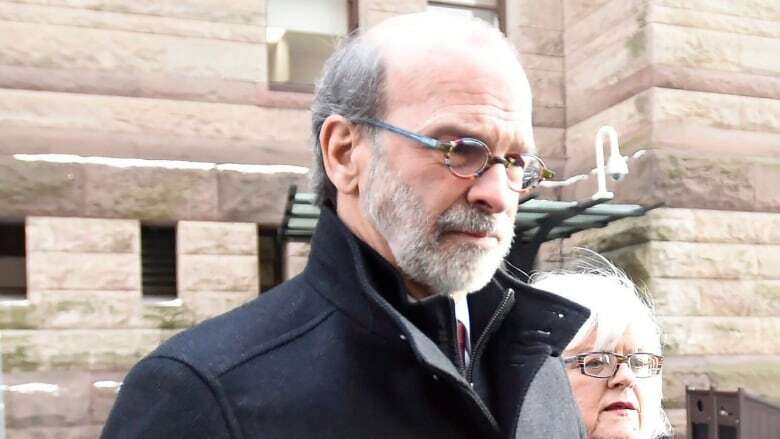 ex-premier Dalton McGuinty and a defence plea to hand down a conditional discharge. Defence lawyer Brian Gover said no useful purpose would be served in sending Livingston, 65, to jail given the harsh punishment the court of public opinion has already meted out for an offence in which "no actual harm" was done and for which his client gained no personal benefit. "He lost his job at a major law firm as a result of this investigation," Gover said. "His stellar reputation, which he built up over a lifetime, is now in tatters." Contrary to the prosecution's assertions, Gover argued Livingston was never in a position of public trust. In fact, the lawyer noted, his client was acquitted of a charge of breach of trust and had made no attempt to interfere with the electoral process. Lipson found Livingston guilty last month of illegal computer use and attempted mischief to data — but stayed a conviction on the latter charge. He acquitted Livingston's deputy Laura Miller, who was also charged in 2015. Evidence at trial was that Livingston hired Miller's spouse, an outsider, to wipe hard drives in the premier's office.The prosecution argued their aim was to thwart public and legislature committee requests for documents related to the gas plants fiasco, which cost taxpayers more than $1 billion. However, Gover said the prosecution was never able to prove which records were deleted under Livingston's orders in 2013, after McGuinty resigned. Prosecutor Tom Lemon said Livingston's actions did cause "actual harm" and called for a six-month sentence but Gover said the Crown was wrong to suggest the public was deprived of information it was entitled to get. Ultimately, Gover said, the fact that his client was found guilty was punishment enough — it would preclude Livingston from visiting his second home in the United States — and sent a clear message to others. He urged Lipson to take into account the glare of publicity and humiliation Livingston had endured, noting his client had been seconded to the premier's office for a mere nine months. employment status that Mr. Livingston has suffered, and the disgrace and stigma that he has suffered and will continue to suffer, will deter others." On Monday, court heard from more than two dozen people that Livingston was a man of integrity and generosity, and who had a track record of years of private and public-sector service. In his brief statement Tuesday, Livingston described himself as a happily retired grandfather who looks after his granddaughter. "Although this situation has been hard and painful for me and my family, the one positive aspect is that it has allowed me to look after her," Livingston said. "I love my job and I may never have a better one. I sincerely hope that is considered in whatever sentencing decision is made."